The sun came out today. It is Thursday so I have to spend the majority of the day at work. 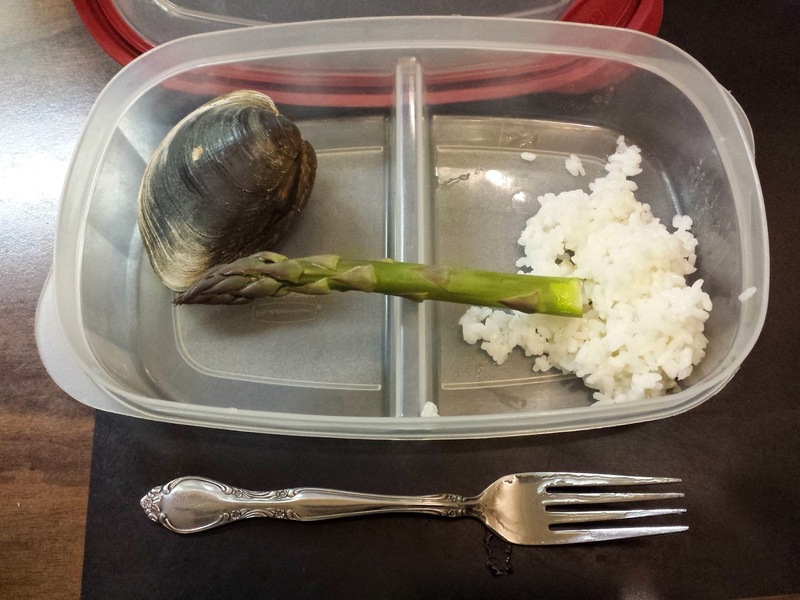 I packed a nice lunch of clams, asparagus and rice and off I went. On Thursday's I usually take Jamie out to lunch so as not to break that tradition we went to Fuji. Jamie ordered a nice sushi lunch with a salad and soup. It smelled so good. I sat there and got a water. 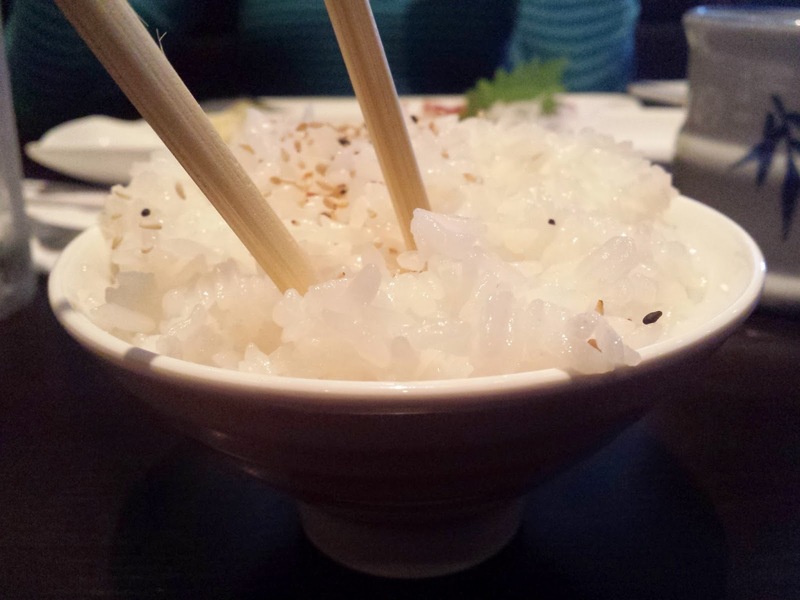 But after a few minutes I realized that I have a certain allotment of rice fro myself so I order a bowl of rice that I could enjoy while she ate her delicious meal. This was followed by a visit to Let's Yo which, surprisingly did not temp me at all. Junk foods are just not interesting to me right now. When you're so focused on just getting regular food, you don't really have a craving for junk food. When I got home from work I spent some time thinking about how I can start changing things up a bit. I feel like I've been locked into a lull this whole week and it has been stifling my creativity. I think I came up with a solution - The Small Animal Clause. If you are unfamiliar with the Small Animal Clause then I suggest you read about it in the sections under Weekly Rewards and Official Guidelines of the SDC. It was time to build a trap. I searched around the house and garage a bit - looking for an appropriate container to trap a small animal. Because the animal needs to be kept alive (for a proper release), I needed to build a trap rather than a snare or dead fall capturing device. In the rafters of my garage I noticed a small cage that was once used to hold my daughter's pet mice. This looked like a perfect start. I made a few modifications and then found a good spot in the yard to set it up. With the use of a old fishing rod and some fishing line, I created a "trigger" mechanism that would close the door of the trap when sprung. Learning from my experiences last year (hopefully), I did not use a plastic trap. The squirrels chewed through that and escaped. I was also able to quickly develop a good triggering mechanism which was a big problem for many of my traps last season. I was only able to capture a couple small blackbirds in the past. This year I plan to get much more involved with the trapping. And I could really use some protein right about now. We'll see.